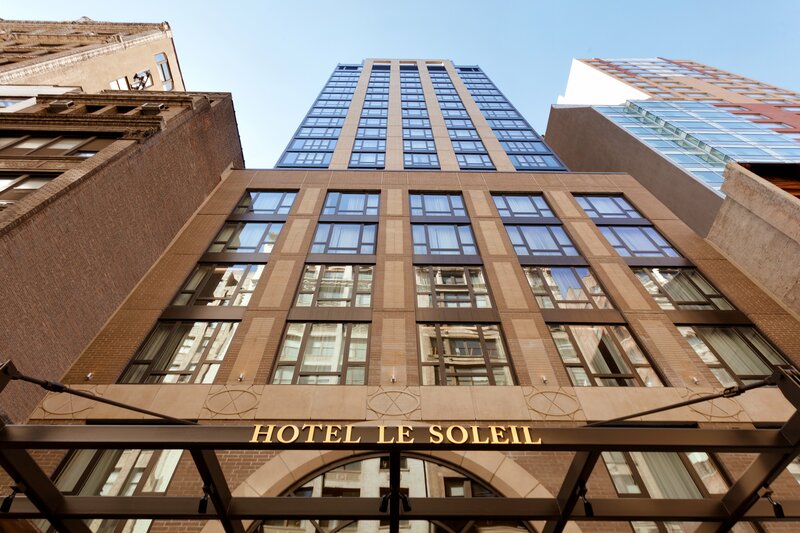 New to midtown Manhattan, The Executive Hotel Le Soleil is just 650 feet from Empire State Building, 1,000 feet from Macy’s and 2,300 feet from Madison Square Garden. My accommodations: a two-room Queen suite that had a separate bedroom, bathroom, a combination living room/dining area/ kitchen that included two coffee-makers, a Keurig and a Nespresso. 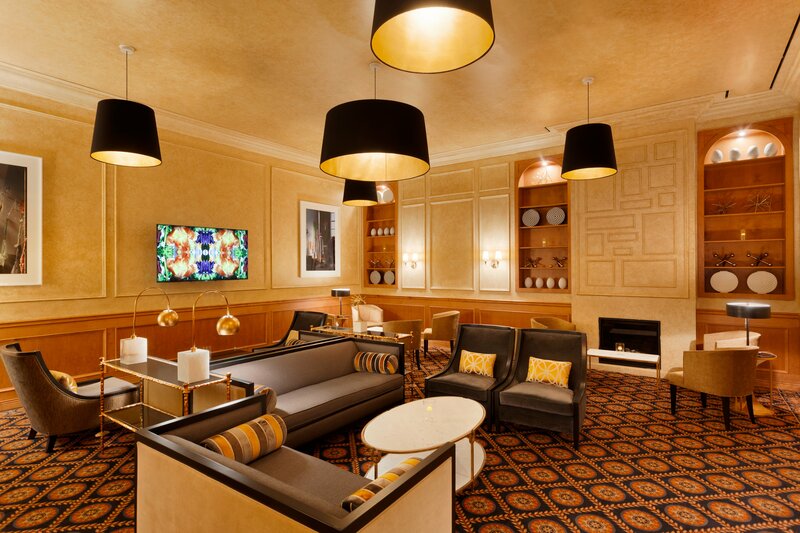 For my three-day stay in the city, this classic contemporary luxury boutique hotel was perfection. The service was “Old World” attentive, as were such architectural elements as 9-foot ceilings, marble stone floors and polished gold hand-painted Venetian plaster walls. The guest rooms and suites were, of course, decidedly modern, including flat-screen TVs (with cable service), spacious work desks and fully-stocked mini-bars–and accented with rich fabrics and chrome and glass. The beds have down pillows and down duvets, just the way I like a bed to be dressed—and the Italian marble bathrooms with high-end Acca Kappa Italian-made bath products. Also provided were a robe and slippers, an audio docking station, an ironing board and a hairdryer. The hotel has 162 rooms, including three penthouses; all have floor-to-ceiling windows showcasing the city’s dramatic skyline. Concierge service makes it easy for visitors to explore the city and to quickly arrange theater and concert tickets (up until a few hours before performance time), sightseeing tours, restaurant reservations and transfers to and from airports (by limousine, private car or shuttle). For those who wish to explore Manhattan’s museums, the concierge can pre-arrange museum passes for MOMA, the Metropolitan Museum of Art or the Museum of Natural History. And for visitors who need more mundane services, laundry and dry-cleaning services can be arranged, as well as valet or self-parking (for a fee). A small (complimentary) fitness room is available for strength training, a cathartic cardio workout, yoga and balance exercises. 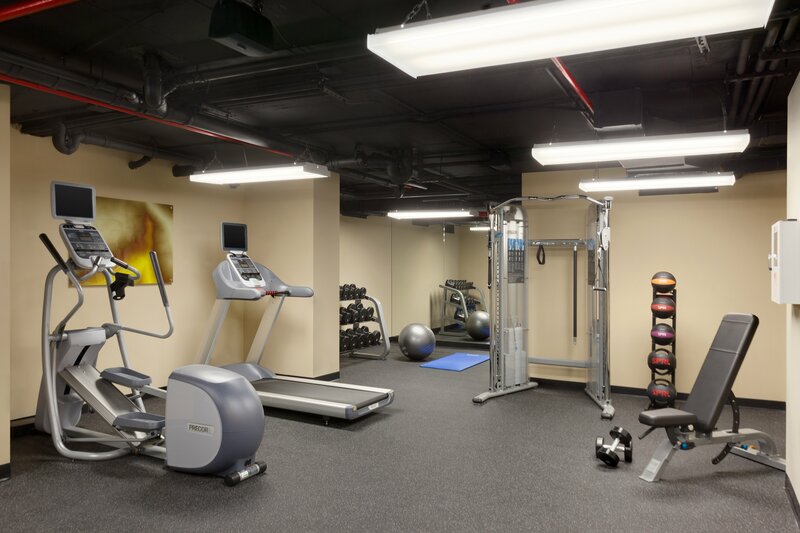 Beyond those options, the front desk can arrange for personal trainers and fitness classes at a local gym (reduced fee). Located off the hotel’s lobby is Trademark Grind, which offers homemade pastries and Brooklyn coffee to hotel guests as well as resident New Yorkers. Trademark Grind is a boutique coffee bar, the first in Manhattan to serve roasts from Greenpoint, Brooklyn’s Sweetleaf Coffee Roasters. The coffee bar has one of only 18 MAVAM-UC2 Machines in the world; these produce consistently delicious and temperature-stable drinks. Behind the coffee bar is Trademark Taste, a New American restaurant serving cocktails and thoughtful comfort food. The menu is created by IGCH Culinary Director Chef Jeffrey Haskell and features such dishes as the Burrata & Knots (homemade burrata and garlic knots served with tomato jam and roasted garlic) and Tuna Poke (avocado, macadamia and crackers) along with the signature TM Burger with bacon, jalapeno jack, fried pickled onions and special sauce. The cocktail program—handcrafted cocktails will be offered nightly in the lobby–is designed by Pamela Wiznitzer. 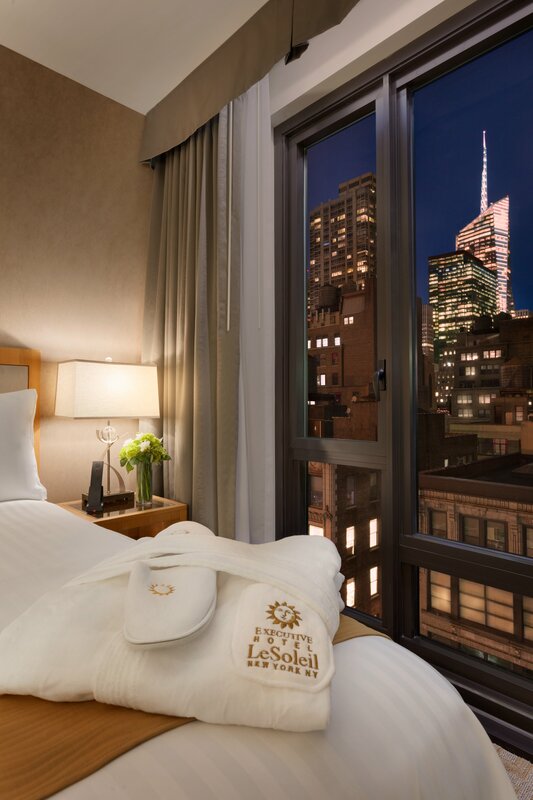 For reservations and availability, go to http://www.lesoleilhotels.com, or call directly 212.695.0003, or Central Reservations at 1.888.388.3932. NextThe Bangala, Chettinad: Heritage Haven in Historic Tamil Nadu!